The times have been exciting for me lately, at least in terms of the geek side of my life. For the first time in nearly two-and-a-half years, I have recently upgraded my Apple iPhone, and after reconfiguring offices about a year-and-a-half ago, I have swapped out my main “desktop” PC, which I had already owned for a while but was moved up to the starting rotation in late 2014. While these and similar exchanges seem to always turn out to be more work than initially planned, and usually leave one with a lingering, haunted feeling of “what have I forgotten that will now be lost forever?”, these two nearly completed upgrades have been remarkably smooth, and similar in one particular way - they are both relatively “invisible”. “As the technology matures, it becomes less and less relevant. The technology is taken for granted. 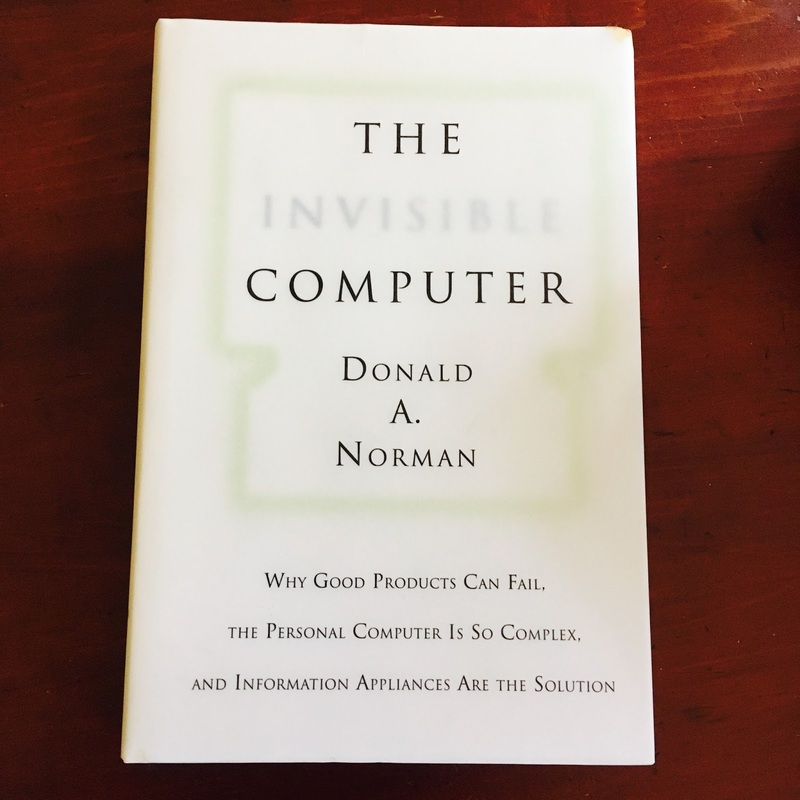 Now, new customers enter the marketplace, customers who are not captivated by technology, but who instead want reliability, convenience, no fuss or bother, and low cost.” – Chapter 10, The Invisible Computer, Donald A Norman. One old, one new - which is which? Apple’s “next big thing” announcement in March of this year may have fallen flat in some quarters, but it got my attention. Anticipating the event, now that I am an Apple Watch wearer, I was interested in what might follow a year after its initial launch. But in reality, my curiosity had been piquing more at the media anticipation that Apple would unveil a new, smaller phone, which seemed fascinating if only in the fact that it seemed so contrary to the bigger-screen trend of the past few years. Sure enough, the SE confirmed that rumor, and photos showed it looked just like the trusty iPhone 5s I have used faithfully since the end of 2013. 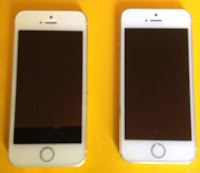 In 2015, I had actually initiated an upgrade to one of Apple’s larger form-factor phones (6+) but returned it only a day later, not liking the larger size and really the whole feel, and concluding I was still a happy, satisfied member of the iPhone 5s installed base! 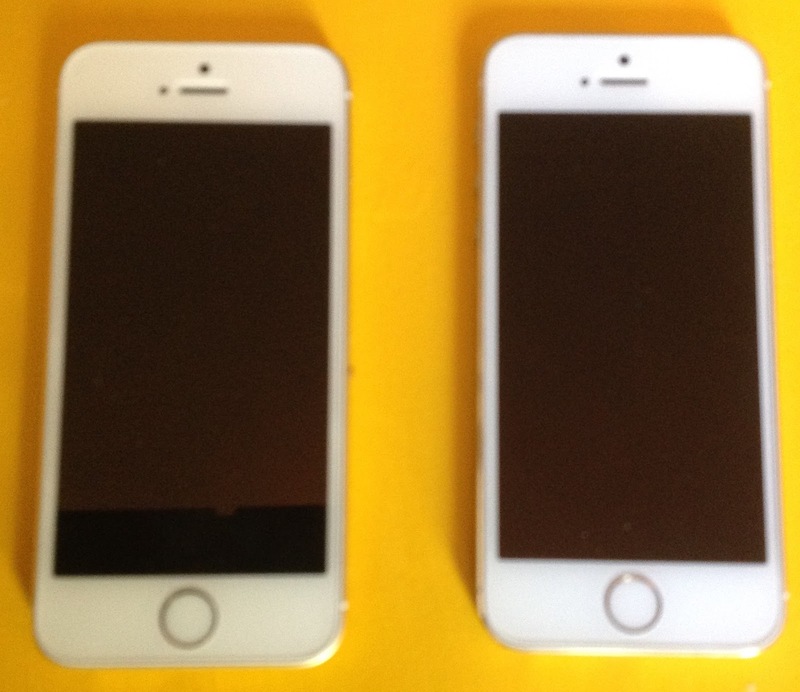 The March announcement described the iPhone SE, as smaller than their recent phones but exactly the same size as the 5s. The idea of my favored form factor combined with the latest performance and features, at least the majority of those features, got me to make the move. As Walt Mossberg summarizes (a bit in defense of Apple and the criticism by many of an offering deemed less-than-spectacular), “The idea, of course, was to make it irresistible for the diehards to upgrade.” If that makes me a diehard, so be it – Mossberg hit the nail on the head, and I couldn’t resist. I am now a couple of weeks in, I love it, and the upgrade has been so “invisible” that the new one even fits into my old 5s case! I am not as far along with the upgrade taking place on my desktop, with my previous “Desktop Replacement” computer being replaced by a newer “Desktop Replacement”. This category is characterized by Windows-based computers (at least that’s all I could find when searching), that look like laptops, but are big and powerful enough to replace traditional desktop computers, which are typically in a tower form factor of some sort. Along with the “big and powerful” comes a laptop (in some places even dubbed a “notebook”) that is really more than I would ever want to carry around or travel with. Old (background), new (foreground) - spitting images? The old one has worked for me for quite some time, but the strain has been showing, so a good deal on an HP Envy moved me to make the change. Little did I realize when I ordered it, though five years newer than its predecessor, that it would appear physically nearly identical, even when taking into account one of the big features I have been looking forward to having – my first desktop with a touchscreen. Inside, the numbers are all up, in some cases way up, in terms of internal memory, disk storage, and CPU power. But with both running Windows 10 (the old one was upgraded last summer), I look forward to a smooth finish to this upgrade too, and like with the new iPhone, I relish having fewer sluggish moments and enjoying more overall “headroom” leading to increased personal productivity. And that “Desktop Replacement” category I have accepted and taken for granted for so many years? The more I think about it, I realize it’s like a product concept we kicked around at HP years ago, for a new laser printer, the “dot matrix replacement”. It was one of those where we on the internal team all knew what it meant, but as far as providing insight, guidance and inspiration on our next product’s ability to meet customer needs, it was meaningless. More on this topic coming! *I know that many of my readers are current or former HP employees, as I was for 25 years, leaving in 2005. (With my second career as a blogger/analyst covering the printing and imaging industry, I have covered HP so much that it sometimes seems like I have extended that 25 an additional 10+ years.) So for those readers in mind, I am including this from my research for this post, as an appendix of sorts. 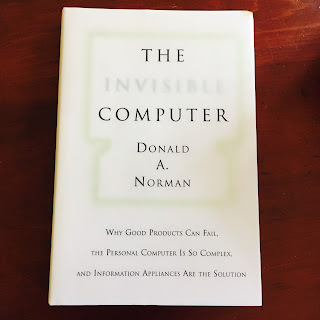 My hope is that some will appreciate, as much as I did, Norman’s amazingly frank assessment of his stop as an executive for HP, back when I got to know him a bit. This is straight from his LinkedIn profile, regarding his time with HP (1997-1998). Retired HP ($HPQ) printer chief Vyomesh Joshi was back in the business news this week, being named CEO of 3D Systems ($DDD), a long-time leader in the field of 3D Printing. And at least one 3D Systems reseller could not be happier with the choice. A little over a year ago, I profiled Intermountain 3D, a Boise-based business (see "February 2015 Observations - HP Alums Take On 3D Printing World") that includes among their portfolio of activities, being a 3D Systems reseller, and actually "the" 3D Systems reseller for the surrounding three-state area. In a bit of an HP "old home week" I asked their CEO for a comment on the new 3D Systems CEO, all of us sharing many years in the printer business at HP. VJ would be a strong leader for any company, but the high-tech R&D and marketing knowledge he brings to 3D Systems are truly outstanding assets. We can’t imagine a better choice. After leaving HP in 2012, VJ had been keeping a fairly low profile, but per a Recode interview by Ina Fried (@InaFried) this week, he has been keeping his hands in the tech world. Per Fried's interview/profile, "Joshi said the past four years he has spent advising startups and serving on various boards will come in handy in the new role." Going on the quote VJ about priorities in the new job, "We have to look at our services approach to B2B (business-to-business) and make sure we excel there,” Joshi said. “That’s the work we will be doing.” And that emphasis is no doubt a big reason for Hoffmann's enthusiasm. And back to the "old home week" of HP alums, and an interesting twist? One HP veteran who remains with the company is Stephen Nigro, who some would characterize as a VJ protege. In what was far from the first time for Nigro to follow along after a Joshi organizational move, Nigro became HP's overall printer chief in VJ's absence, reporting to now-CEO of HP, Inc., Dion Weisler. But in mid-2015 (before the company split last Fall - see "Revisiting Splitsville"), Nigro was named president of a new division, HP's "3D Printing Business". The industry continues to anticipate HP's very big shoe dropping and for now it seems Joshi and Nigro are poised to be fierce rivals - or will it be as potential partners? State of the Apple Watch - Inspired by USAToday's Ed Baig - I would buy one again too! The "gold standard" in marketing research questions for assessing customer satisfaction has long been something along the lines of "would you recommend to a friend". But I think in the case of the year-old Apple Watch, the question (see above) posed by USAToday's Ed Baig is even more relevant. His March 20th "op-ed" asked, "Would I still buy an Apple Watch?". While the watch began to ship a year ago, I held out until early June to buy mine. I was using a Pebble smartwatch when the Apple Watch launched, and I referred to it for a time as my "placebo" - knowing it would hold me off from getting the Apple, at least for awhile. That worked for two months! As far as how I use the Watch, like Baig, I find the Apple Watch Notifications are closest to making my watch a "must have". Informing me of an incoming call or text when grabbing for my phone is not advisable, for either safety (driving) or courtesy (in a meeting or when around other people in a quiet setting). My other basics on the watch include Activity, Weather, and Stocks - they probably consume 80%-90% of my "glances", outside of simply checking the time of day. Speaking of "glances" I think it is interesting how little I see or know about "Glances" (with a capital G) or "Complications" - Apple's categories for watch activities or apps. This part of the Watch marketing effort seems to me to been a miss, by a wide margin. I have tried a large number of apps, and have mostly set them aside after a few days (which truthfully is true for iPhone and iPad apps). My Fidelity app on the watch was cool in giving me visibility to a few retirement accounts, but it's not like I'm going to be day trading on my wrist. The Shazam app remains on my watch, but I have never quite figured out its ability to do its magic (waving the wrist to ID a song) and how it reacts with the iPhone, so I typically don't try. As mentioned, the basic Activity app is a behavior-changer for me (in a good way), but other fitness and health apps I've tried just haven't done it for me. And then there are the little surprises. When using my iPhone for driving directions, it's pretty cool to get a little "tap on the wrist" when approaching an upcoming turn. And the notification feature for Instagram, with a "like/reply" capability, is great fun. Also, my Siri-activated Timer action, when parking at a downtown meter, has kept me ticket-free for nearly a year. As far as accessorizing, I vowed to never buy an Apple-brand anything for the watch, which was $350 at the time I bought it. But I caved in and bought one of the new canvas bands, for $50, after they were announced last week. 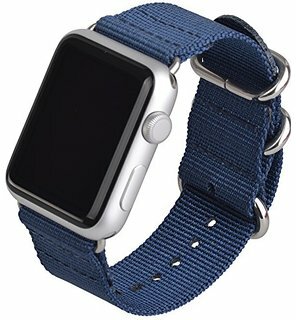 The original bright-blue Sport band had outlived its novelty for me, and a third-party leather band purchased on eBay for $20 was acceptable but had wear issues. So I celebrated the Watch's one-year anniversary by splurging for the blue canvas band and a new look. So, yes, I would buy again, and am happy to have an Apple Watch. As far as recommending to a friend? I must say I am not always as enthusiastic on this front when given the opportunity. So far, with the Apple Watch, I think it really helps to be an enthusiast.